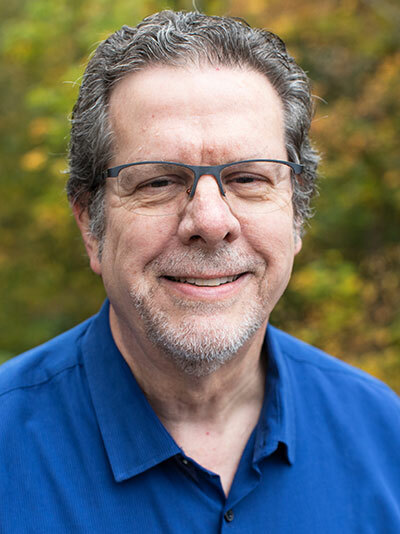 Gary serves as chair of the Department of English and Theatre and teaches British literature survey, Shakespeare, Technical Writing, Studies in Writing, and Advanced Studies in British Literature. Gary also serves as faculty advisor for the George Fox chapter of the English honors society, Sigma Tau Delta. Before coming to George Fox, Gary taught at Abilene Christian University and Cascade College (the Portland, Oregon, campus of Oklahoma Christian University), where he was named Faculty Member of the Year and where he served as academic dean from 1997 to 2001. In his 20-year career in Christian higher education, he has taught a wide array of writing and literature courses. Gary also has 15 years’ experience as a full-time and contract technical writer for business and educational organizations. Gary has written and presented extensively on the works of C.S. Lewis. His book The Rhetoric of Certitude: C.S. Lewis’s Non-Fiction Prose (The Kent State University Press, 2009) examines Lewis's argumentative style in both his religious and critical writings, shedding light on his unique rhetorical approach and ongoing popularity. Gary has also published a number of essays and reviews on Lewis' work and Christian spirituality in The Bulletin of the New York C. S. Lewis Society, The Christian Chronicle, and Christianity and Literature. His article, “The Stylistic Achievement of Mere Christianity,” appeared in the Fall 2011 issue of Sehnsucht: The C. S. Lewis Journal. Gary's PhD is in rhetoric and writing from the University of Tulsa, where he also studied modern British literature and literary modernism. He earned his MA in English from The University of Tennessee, where his emphasis was early American literature. Gary likes to watch Trail Blazers basketball, play guitar, and read and write. He and his wife, Janet, live in Newberg and have three children: Julia, Jackson and John Garrison. He loves to attend concerts and theatrical productions and particularly enjoys pilgrimages to the Oregon Shakespeare Festival in Ashland and trips to the Oregon Coast. He is an active member of his church community, where he serves on the Arts and Education and Pastor/Parish Relations committees. FoxTalks Session XIV: Gary Tandy from George Fox University on Vimeo. "I don't know many things more powerful than words. Words can encourage us and inspire us, but words can also hurt us and wound us." English professor Gary Tandy speaks about the importance of words, quotes Bob Dylan and even plays a few riffs on the guitar.